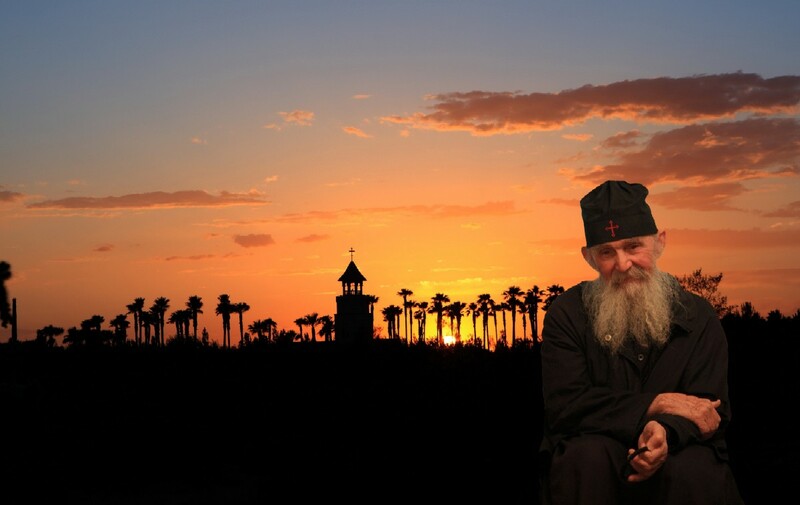 Sign the Petition to preserve St Anthony’s Monastery in Arizona! A page entitled “Preserve the Sacred Grounds of Saint Anthony’s Monastery” has appeared on Facebook, calling attention to the proposed construction of over 200 new houses in the immediate area of the monastery which would greatly disrupt the quietude of this spiritual center, founded by and the home of the Athonite elder Ephraim, former abbot of Philotheou. A petition has also been started, which can be signed here. 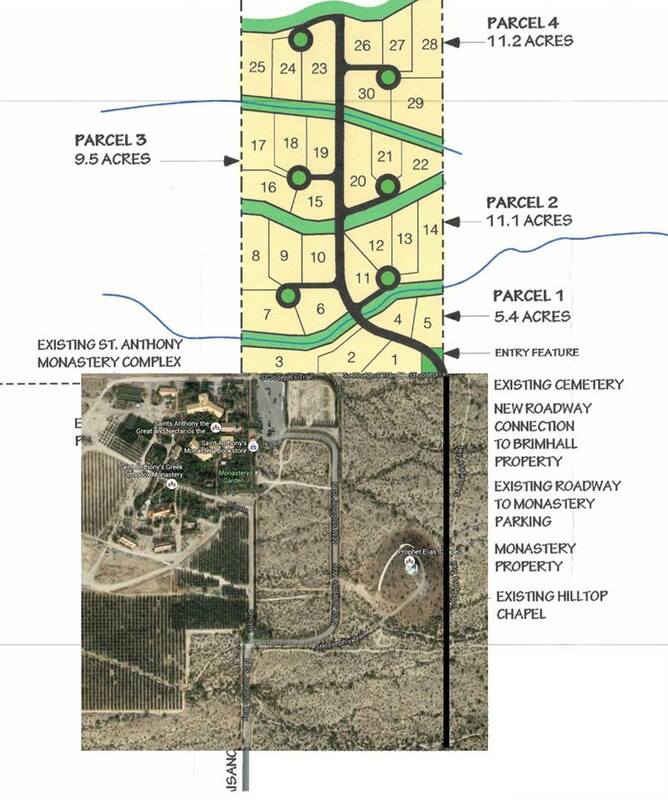 A developer is proposing drastic changes to the zoning and land usage for parcels of land IMMEDIATELY ADJACENT to Saint Anthony’s Monastery. These changes would have a dramatic and significant negative impact to Saint Anthony’s Greek Orthodox Monastery. It would also be a dramatic negative impact to all the local residents and out-of-state visitors who attend services there, to all the families who have relatives buried in the cemetery, and to everyone who currently enjoys the tranquil and graceful nature of the Monastery. • Over 200 new houses are to be developed on land north of the Monastery, including the area immediately adjacent to the Monastery Cemetery. • A new road is to be built extending from Paisano Road, then running in between the two Monastery hills, immediately at the base of the Prophet Elias Chapel, then very close to the cemetery. As this would be the only access road to the 200+ houses, traffic and noise would be greatly increased. • The noise, traffic, housing, music, animals, etc. would bring a dramatic change to the whole community, disturbing not only the Monastery but the neighbors as well. • The natural habitat and wildlife would be impacted by a big new development as well, disturbing several rare plant and animal species in the area.YOUR URGENT ACTION IS REQUESTED! Public meetings are already scheduled for the coming week!! Please sign the petition immediately!The petition simply asks the local authorities to leave the zoning of these properties unchanged. The purpose of zoning laws is to provide long-term expectations for property owners on how the land in their neighborhood is intended to be used. This allows people to plan and build in a manner appropriate to the existing neighborhood. The proposed new development represents a drastic change to current zoning usage and would have a strongly negative impact on the local community. The petition also asks the Bureau of Land Management and the Arizona State Land Department simply to leave the usage of these properties unchanged. These agencies must approve any changes to the land usage where the developer wants to build the new road, since it passes through lands controlled by those agencies. YOUR ACTION IS REQUESTED! Please sign the petition!